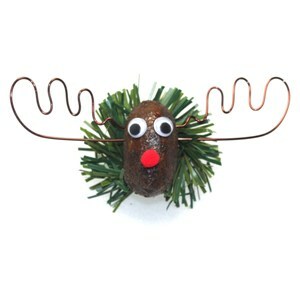 If you are looking for a pin that is truly Alaskan, look no further! 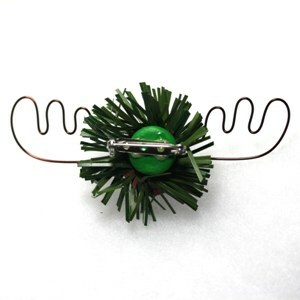 The Alaska Moose Nugget Christmas Pin trumps almost any wearable conversation piece on the market. 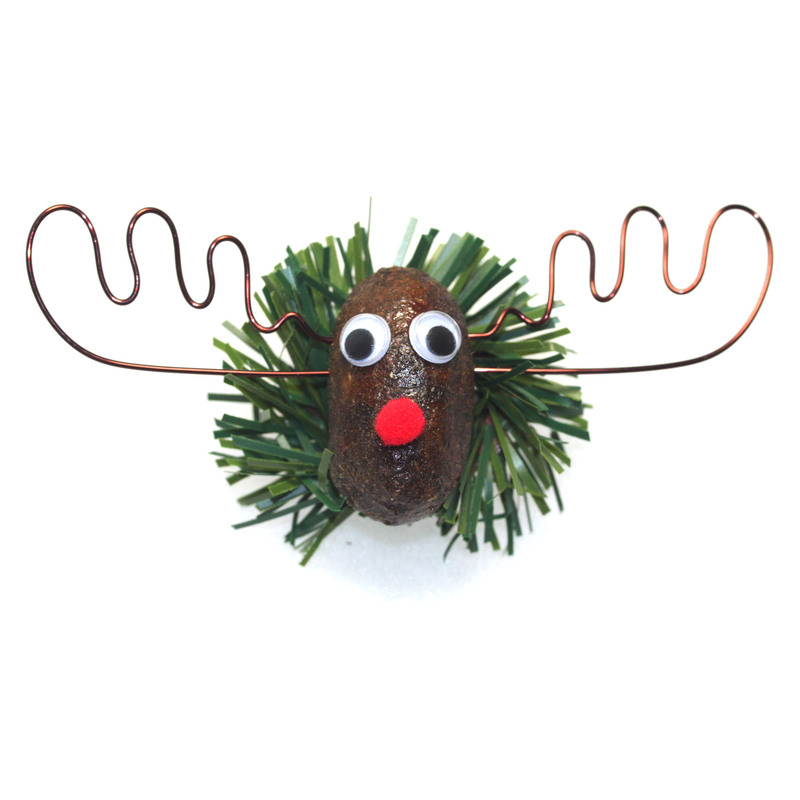 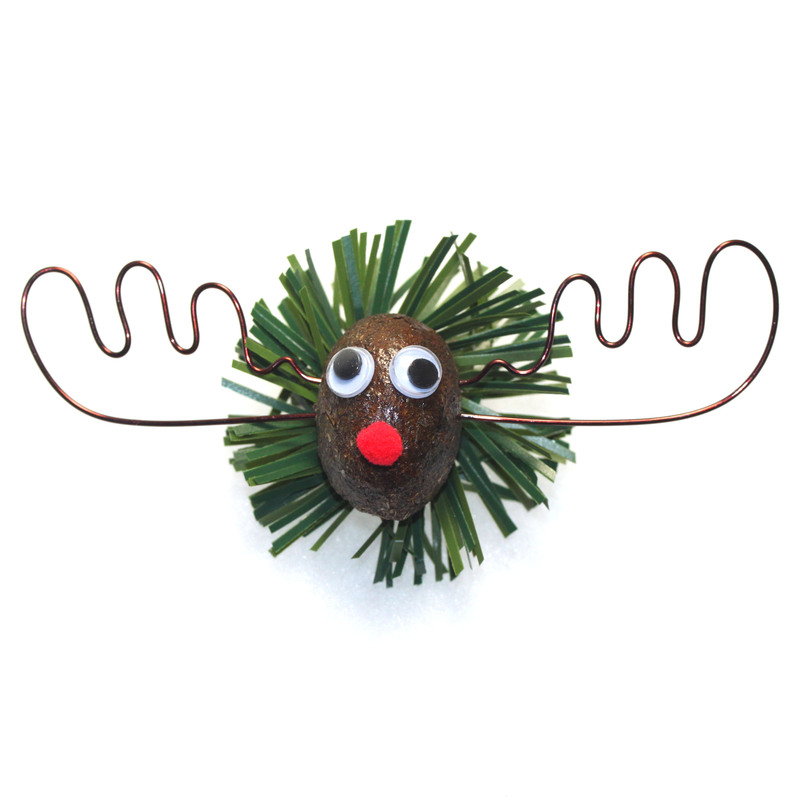 Materials include: a real Alaska moose nugget, a mini wreath, hand-bent copper wire antlers, googly eyes, and a red pom-pom nose. 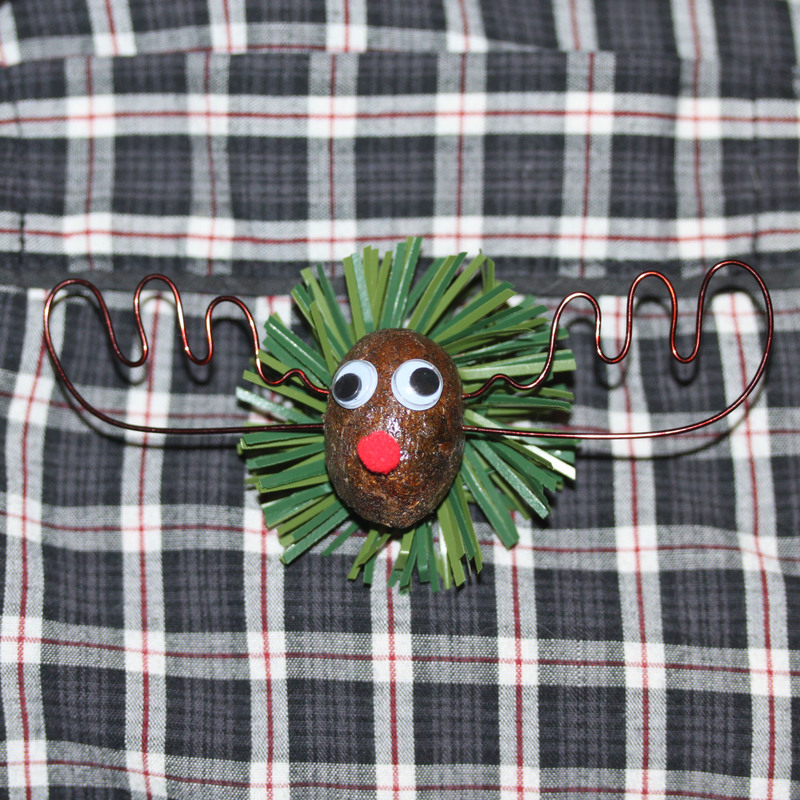 A closeable pin is set on a handmade backing to complete the piece. 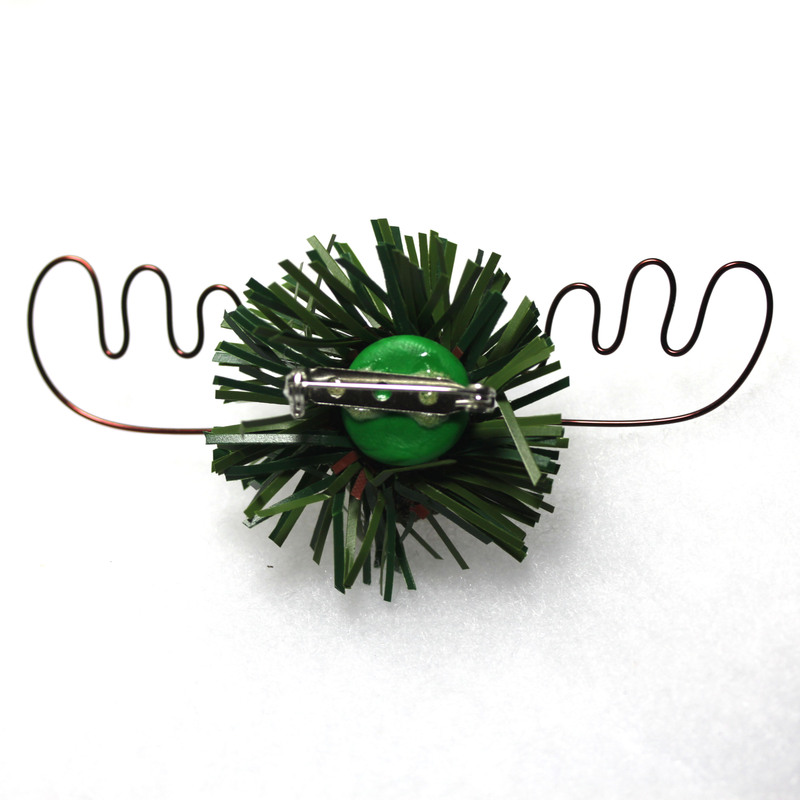 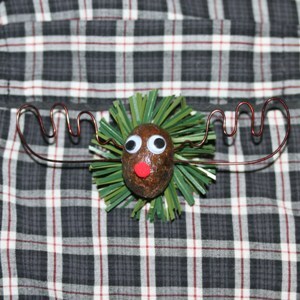 Don’t get caught at your next holiday gathering without the Alaska Moose Nugget Christmas Pin!